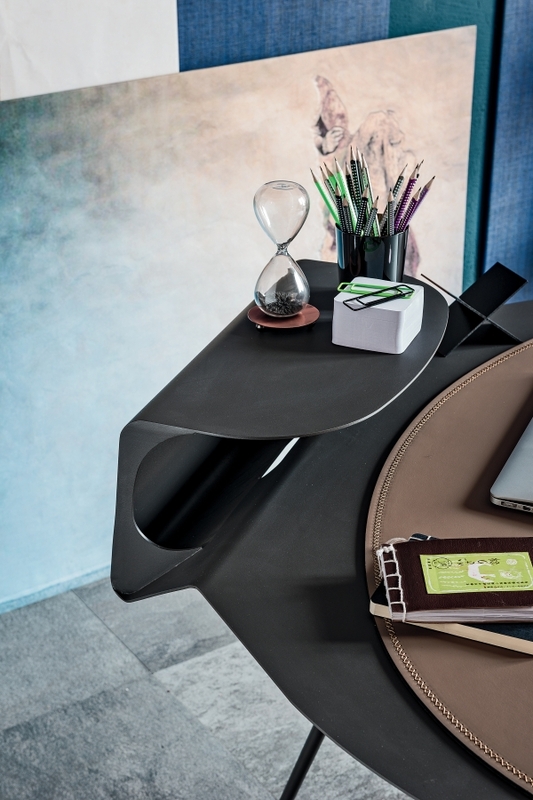 Desk with contained dimensions. 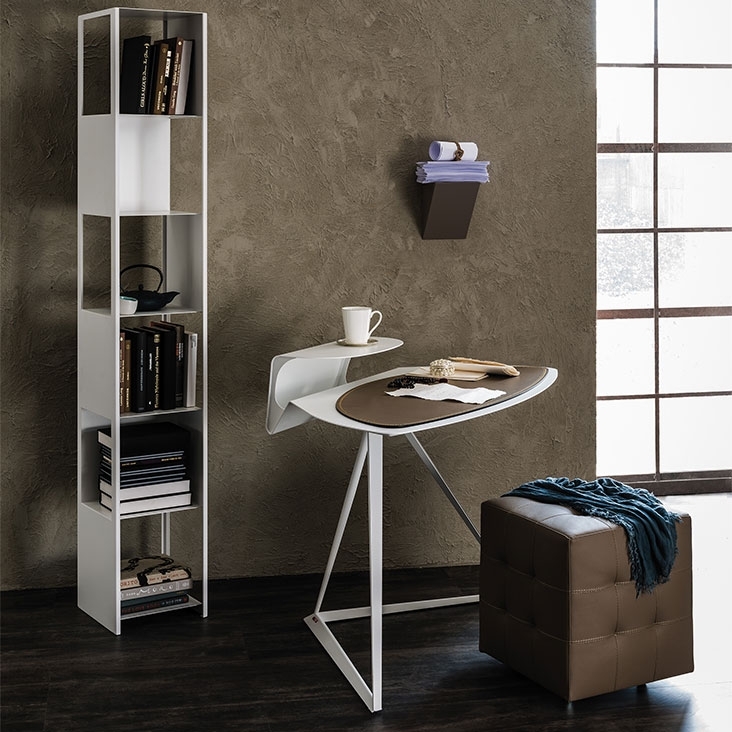 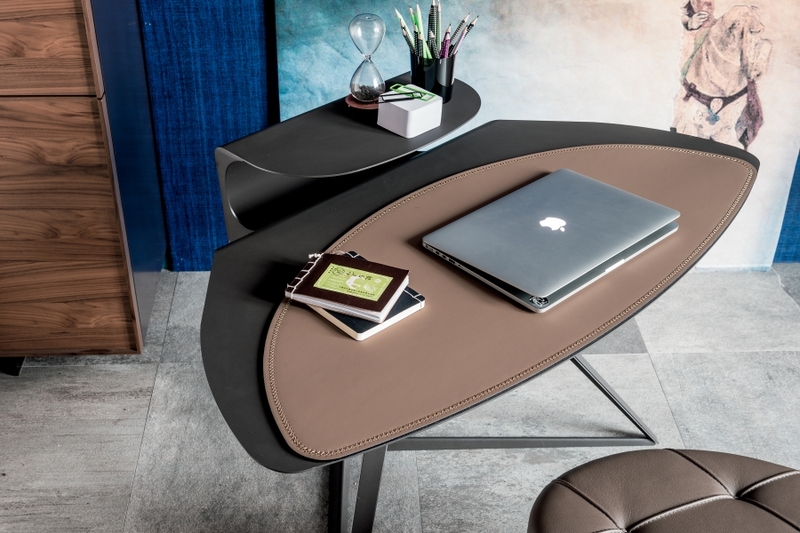 The desk Storm offers sophistication, uniqueness and strong personality. 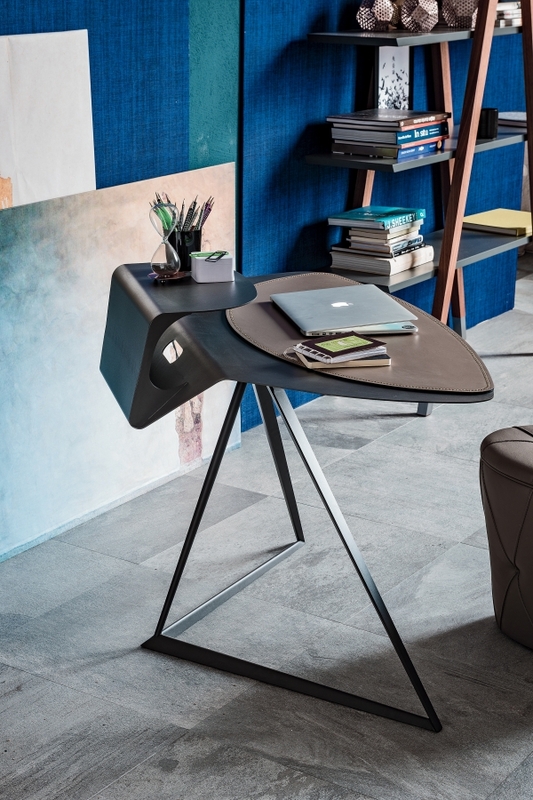 The absence of the sharp edges in the top of the desk contributes to the harmonious design. 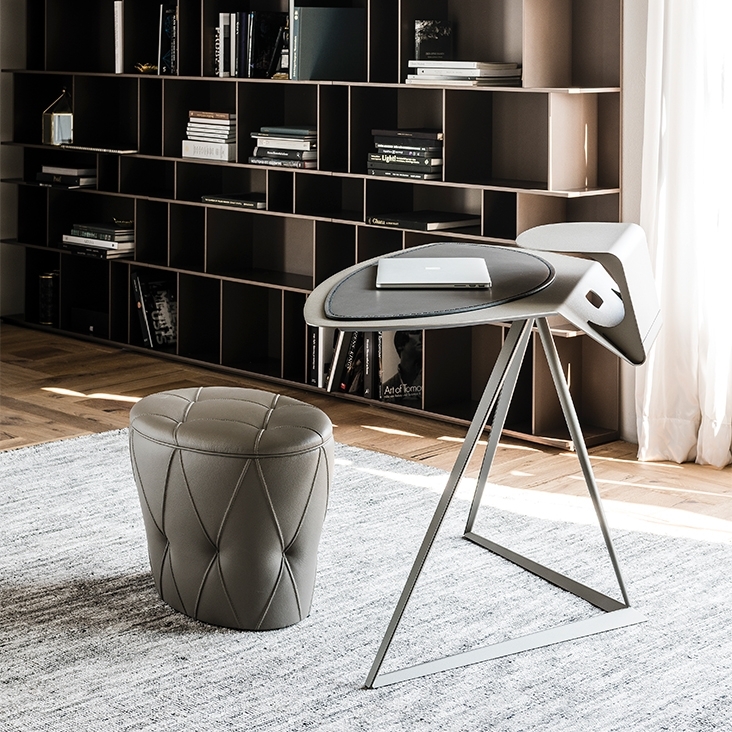 Frame and top in embossed lacquered steel, and leather pad.